Three to four hours of life saving information. The BLS course teaches students and healthcare professionals to recognize various life-threatening emergencies and respond appropriately. 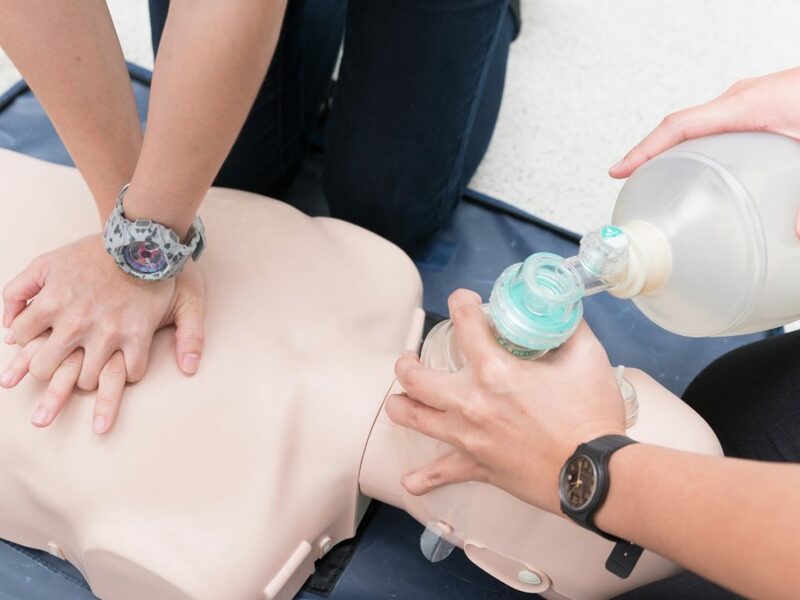 Participants will gain the critical skills needed to provide help for a person experiencing cardiac arrest or airway problems. Learn to give high-quality chest compressions, deliver appropriate ventilation and use an AED. Students will be taught all the required skills and practice them on manikins and the AED Trainer. There is a required test at the end of the training. Students will receive an American Heart Association course completion card or e-certificate within 1-2 days of successful completion of a course. AHA certifications have a reccommended two year renewal date. * We will conduct this class off-site upon request with a $100.00 fee per student.